Welcome to the fourth episode of the FitFizz Podcast! 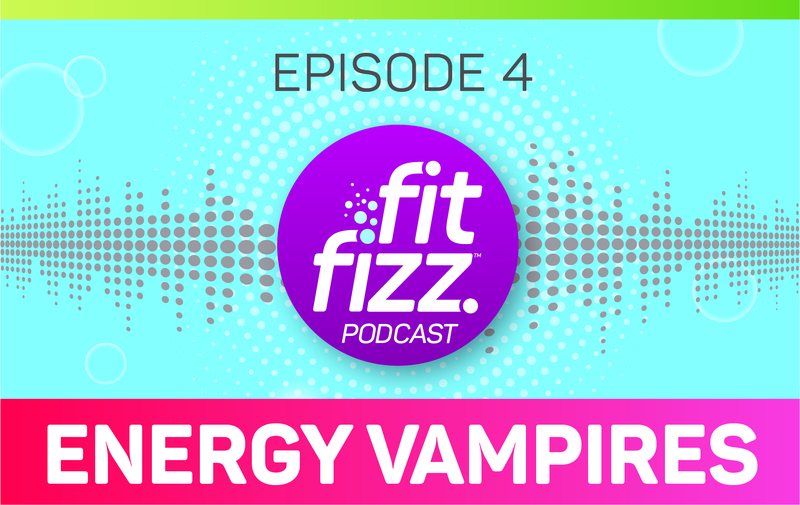 In this episode of FitFizz, I’m talking all about energy vampires — what they are, how to find them, and most importantly, how to get rid of them. Have you ever left a meeting, a conversation, or social gathering and just felt completely drained of energy? You might have a few energy vampires that you need to get rid of. 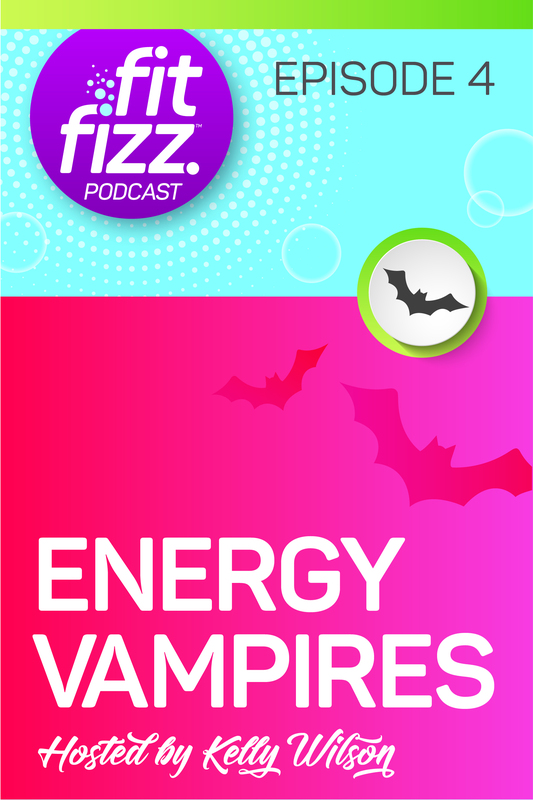 If you’re looking to maintain a little more energy throughout your day, you will gain a lot by learning about energy vampires. Nutrition and sugar can be a huge energy vampire for some, so be sure to also join the FREE 5-Day Flush the Sugar Fiesta for 5 days of emails with free coaching from Kelly, each one with a downloadable PDF with small actionable steps, alternatives to sugar, and info about why some sugars cause cravings, and others do not. Check out the 5-day meal guide with recipes, access to the FitFizz Raw Energy Oasis Facebook Community to learn more and share your victories.